How Will Buying a Car Impact My Credit Score? Before signing off on your new car, understand how your credit score will react. Your credit score plays a key role in everything from getting a car loan and mortgage to an apartment lease and a new credit card. 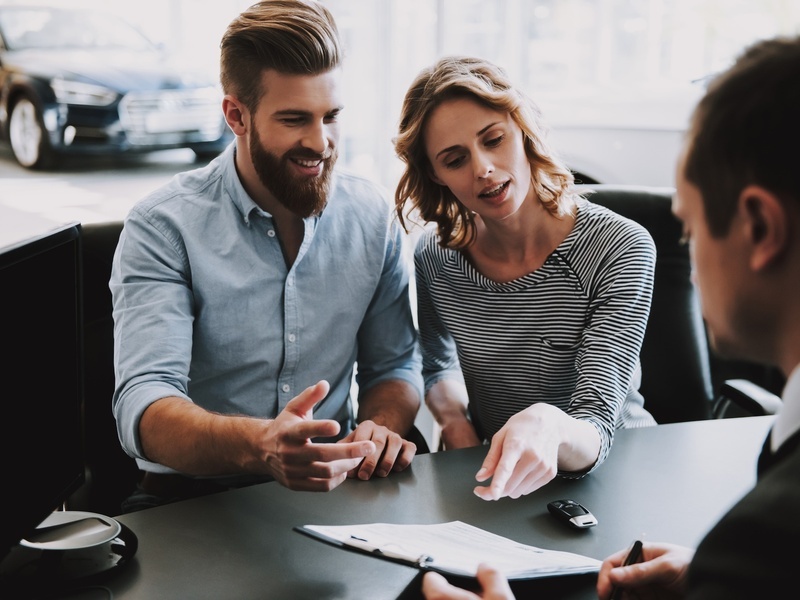 If you’re looking into purchasing a car and working on improving your credit or maintaining your good rating, it’s important to understand how the entire car buying process will affect you. From applying for auto loans to paying off your vehicle, you'll likely see your score shift up and down. While credit scores are influenced by each person’s unique circumstances and there isn't a one-size-fits-all formula, these are some common credit trends you should be aware of when car shopping. Go ahead and rate shop for your loan but do so quickly so you don't harm your credit. When you apply for a car loan, your credit can take a slight hit because the lender does a credit check to determine whether to approve you and the interest rate they are will offer. This action will show up as a hard credit inquiry on your report and can lower your score by several points. If you're right on the cusp between two credit categories such as 'fair' and 'good', you should be wary of this. For most car shoppers, the hard inquiry will have a temporary and insignificant impact. What if you want to shop around for the lowest possible loan rates? Many car shoppers are concerned that they will significantly harm their credit if they rate shop for their auto financing and cause multiple hard inquiries on their report. As long as the inquiries occur within a short period of time (between 14-45 days depending on the credit bureau) they count as a single inquiry since credit bureaus are smart enough to recognize that you're only taking out one loan. As long as you make a responsible choice, your car loan will help boost your credit score. After shopping around for the best interest rate and landing on the right car for your needs, you'll be ready to pull the trigger. When you move forward with a car purchase and sign off on your car loan, there will be a debt added to your credit report which could slightly lower your score. Luckily, buying a car won't be all bad news for your credit report as long as you choose one that doesn't make you stretch your budget and struggle to make payments. According to Nerdwallet, if your credit history doesn't currently contain installment loans such as car loans, mortgages or student loans, financing your car purchase will actually boost your score because it diversifies your credit history. Remember that this is contingent on you making on-time payments every month. Even if you've previously checked the installment loan box, keeping up with your car payments will improve your credit score. Paying off your car loan early might feel great, but how will it impact your credit? When you make your car payments on-time every month, your credit score will steadily climb. On the other hand, what happens if you run into financial trouble such as a job loss or you simply forget to make your payment? Unfortunately, even one missed payment can ding your score. The severity of the hit to your score will depend on factors such as how late you were in making a payment, whether or not you've had a prior history of late payments and how high your current score is. According to Equifax, one late payment will have a more drastic impact on higher credit scores. A 30-day late payment can result in a drop of 90-110 points on a FICO score of 780 which can knock you down from a 'very good' credit category to 'fair'. In comparison, the same late payment will result in a 60-80 point drop for a score of 680. If you chose an affordable vehicle, are staying on top of making your car payments and have the opportunity, you may be considering paying off the loan early. That can only help your credit score, right? Surprisingly, that's not usually the case. Paying your car loan off early may have no impact or it could be a drawback. It is typically more beneficial to you (and your credit report) to continue making on-time payments on your active loan as originally scheduled than having it closed early once you pay it off.